Another win in the bag for the Philadelphia Eagles! The staff and customers are true Eagles fans. Most of the servers and bartenders were wearing their Eagles green. We really loved the game-day atmosphere and the 1/2 price appetizers on game days! 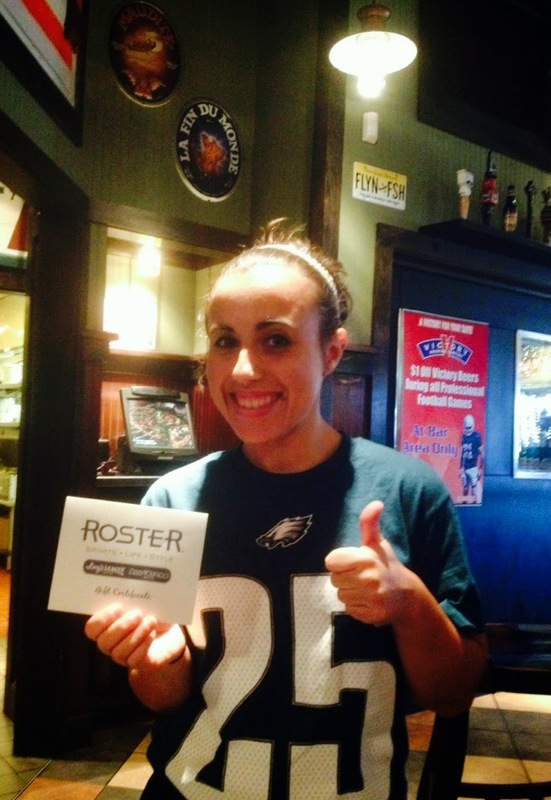 One happy Eagles fan walked away with a ROSTER gift card! 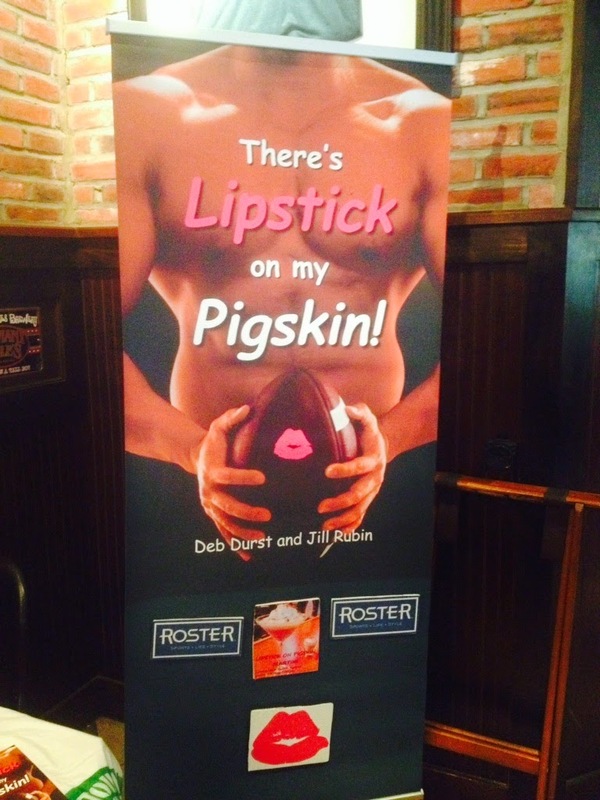 Please be sure to visit the official sponsor of the Lipstick on Pigskin tour--ROSTER Stores! Where fashion and football collide!